Your price: 1,15 € tax incl. Buy 50 za 40,50 € and save 30%. 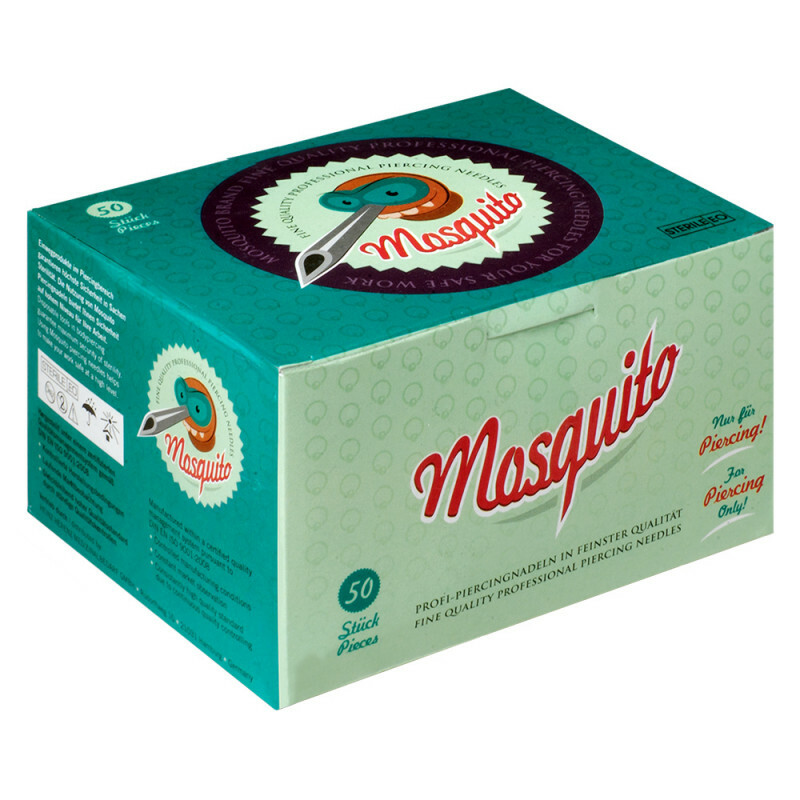 Mosquito – Proffessional Piercing Needle 1,7 mm (16 G) is a disposible intravenous sterile needle for piercing aplication. 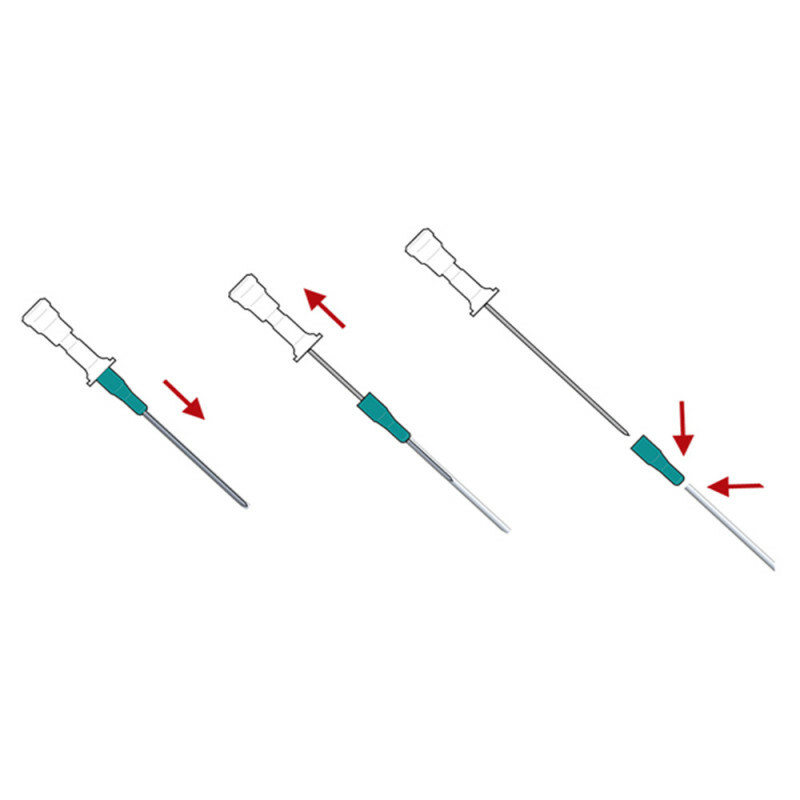 The needles are catheterized for easy insertion of piercing. After removing the needle, the outer cannula remains in the injection site. Scissors are not needed to remove the needle, the cannula can be easily detached from it. 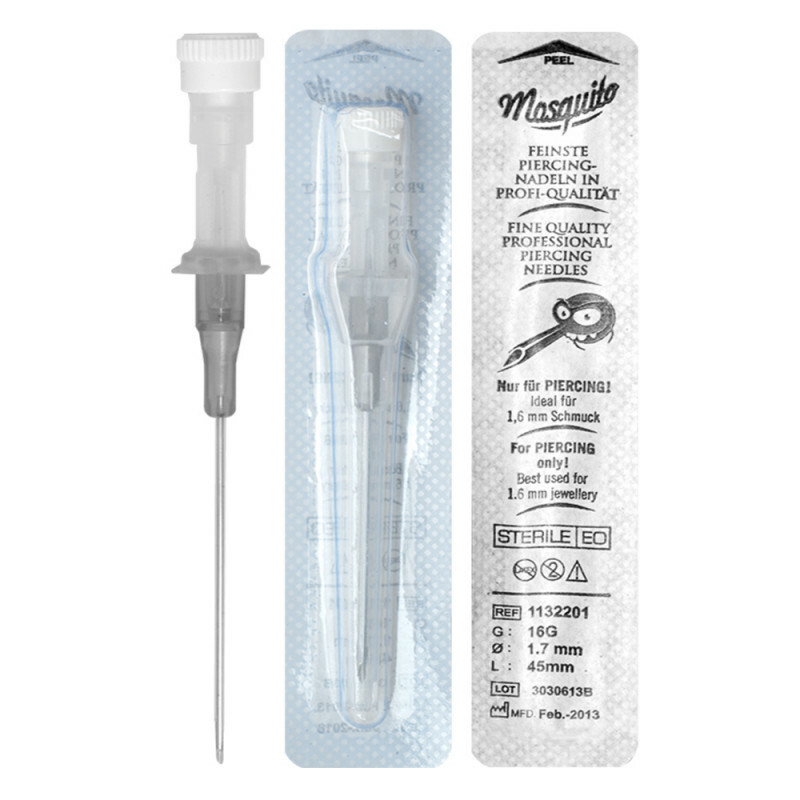 Needles are sterile, individually packaged and has all high medical standards. They are designed for maximum comfort and safety at work. 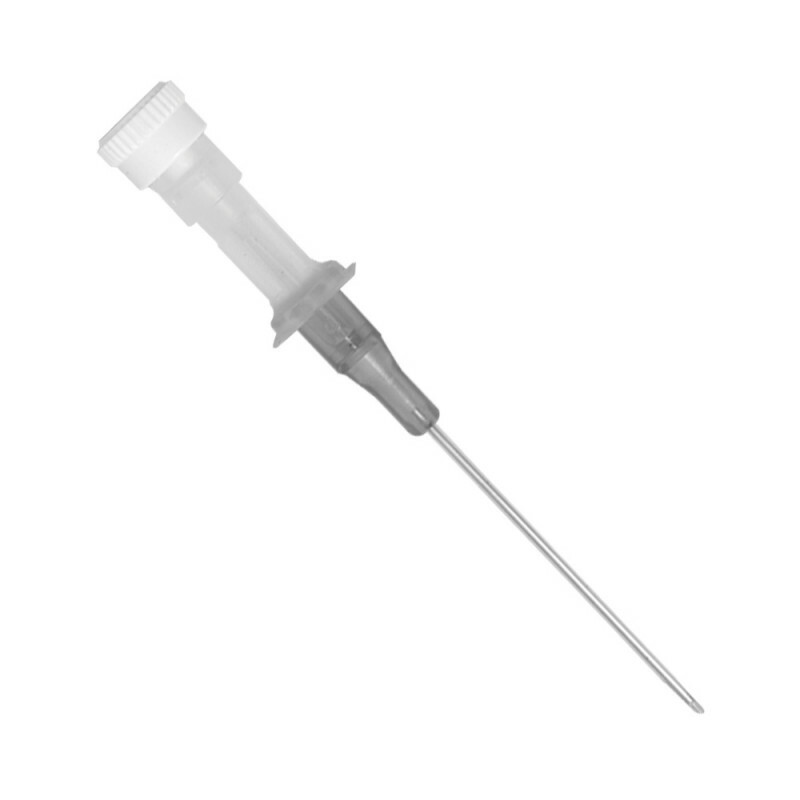 The needle is ideal for the application of piercing parts with a size of 1,6mm.